Robert Bergman’s marijuana plant food provides all the nutrients necessary to achieve vigorous and healthy growth. Used in conjunction with the scheduled feeding chart, it covers the complete life-cycle of the plant, from seedling, through to boosting the buds size and weight, prior to harvest. 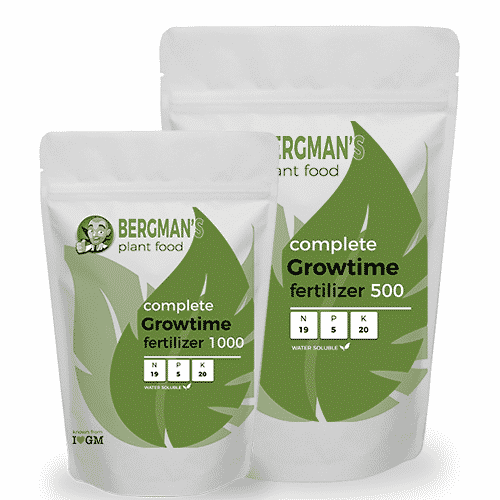 Perfect for both new and experienced growers, Bergman’s plant food is available as a complete fertilizer set, containing enough nutrients for the complete growth and flowering of either 5 or 25 marijuana plants. Alternatively, each individual pack may also be purchased independently. If you want the biggest harvests and tastiest buds you’ll need to provide your marijuana plants with a complete range of nutrients from common Nitrogen and Phosphorous, through to a host of micro and macro nutrients required for exponential growth. 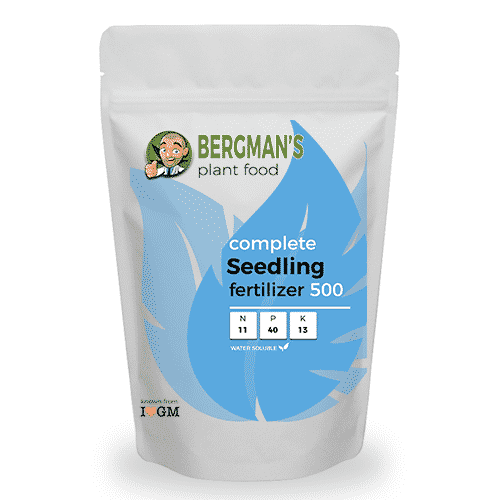 Produced as four separate compounds, Bergman’s Plant Food contains all the nutrients required at each stage of the plants development, with specially designed formula’s following a designated feeding schedule. As the plant develops from seedling through to growth, flowering and finally maturity, each selected formula with provide your marijuana plants with the perfect combination of nutrients, ensuring maximum growth at each stage of their lives. Whether you are choosing to grow indoors or outside, using soil, an inert medium, or a hydroponic set-up, Bergman’s Plant Food offers the complete feeding solution, providing all the plants needs while removing the guess work of which compounds to use, and when, by following the feeding pattern charts provided. We recommend buying Bergman’s Plant Food with your seed purchases to produce the healthiest, strongest plants, and generate the highest quality, biggest harvests possible. Learn more about each individual compound, and their role in the life-cycle of the plant. 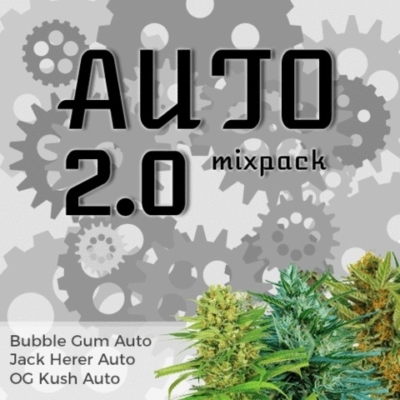 Designed to give each young marijuana seedling the very best start, with the perfect blend of nutrients for the first few weeks of their lives. Ensures strong, healthy root development and rich, vibrant growth. The growth phase is critical in the plants development if you wish to produce large, high quality harvests. This specially formulated compound ensures the plants receive all the nutrients they require for healthy development of the leaves, branches and rooting system, while protecting your plants from diseases and deficiencies. 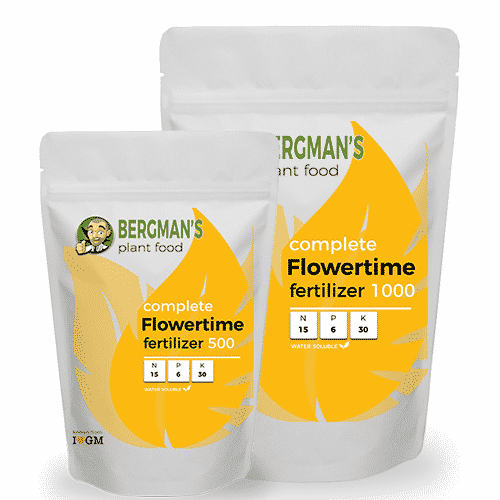 Specially formulated for marijuana plants, Bergman’s flowering plant food stimulates the development of budding sites, and maintains healthy leaves and roots to achieve maximum growth. Used as soon as the plant begins to flower, the high levels of potassium assist in the production of large, potent buds. This unique plant booster contains added nutritional power for flower stimulation and explosive growth. Applied at various stages of the plants development it helps to induce early flowering, generating larger buds, while enhancing and promoting a healthy rooting system for added nutritional intake. Assists in building larger, more potent buds. Whether you’re growing indoors or outside. 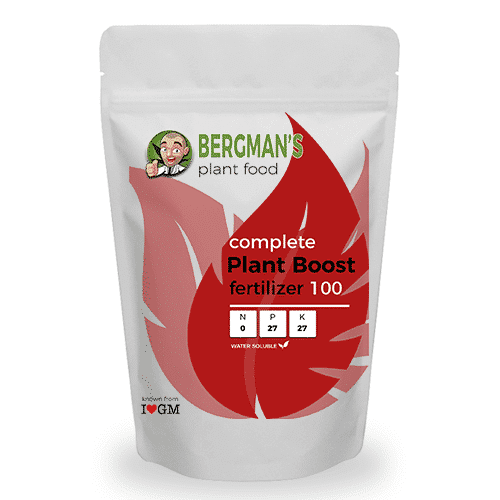 In soil or another form of inert medium, Bergman’s Plant Food will provide everything your plants need to healthy, prolific growth. Achieve your best results ever and be amazed at the difference correct marijuana plant food compounds can make to both the quality and quantity of your harvests. Enjoy FREE, unregistered shipping to all parts of the USA, Canada and Europe, regardless of the size of your order, and with all purchases guaranteed to arrive, relax in the knowledge you’re buying from one the very best and most trusted suppliers of marijuana seeds and supplies online. All purchases are dispatched using the very best stealth shipping methods and practices, fully guaranteed to arrive at their designated destination. Learn more about Bergman’s Plant Food, the feeding schedules and payment methods below.